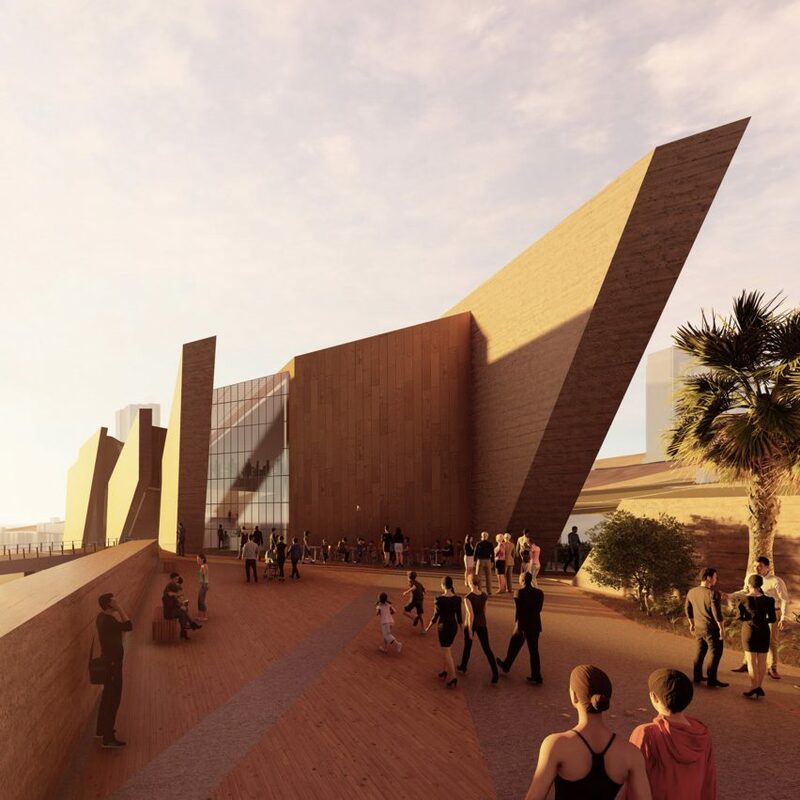 Daniel Libeskind's architecture firm has revealed plans for a museum in Iquique, Chile, featuring jagged, earthy concrete walls that are intended to evoke "the stark landscape of the Atacama Desert". Studio Libeskind has designed the structure to replace the Museo Regional de Tarapaca? (MAR) ? which translates as Regional Museum of Iquique ? in the northern Chilean port city of Iquique. Comprising angular volumes and a red-toned concrete facade, the museum is designed to draw on the local landscapes, including the Atacama Desert. East of Iquique and one of the driest places in the world, the desert plateau covers 1000 kilometres of land along the Pacific coast, with the Andes mountains further inland. "The inspiration for the design entitled 'El Dragon de Tarapaca?' came from the stark landscape of the Atacama Desert, the giant cliffs and the urban dune of Iquique, the 'Cerro Dragon'," said Studio Libeskind in a project statement. "Every volume references the surrounding landscape ? dune, mountain, desert, ocean," studio founder Daniel Libeskind added. "The result is a silent musical composition in proportion, materiality, and light." Renderings of the structure show it comprises huge slanted walls that enclose a glazed volume. "It consists of three pairs of parallel vertical walls shaping the major spaces of the museum," said the studio.